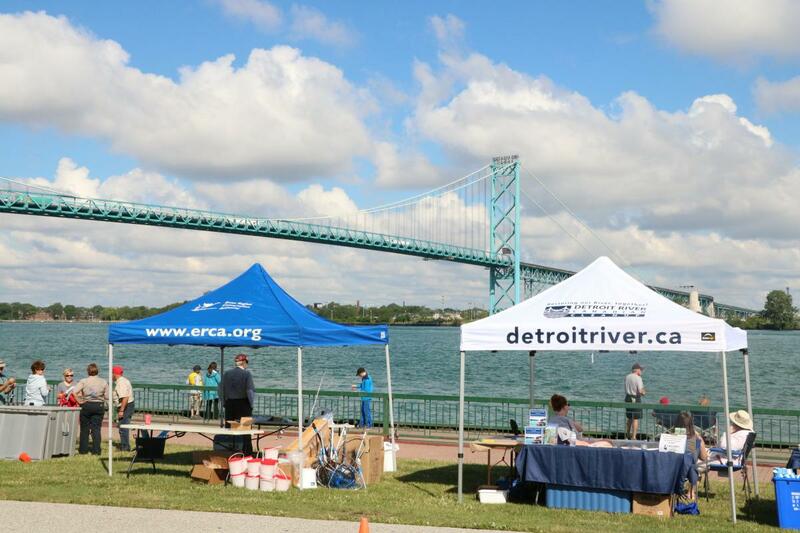 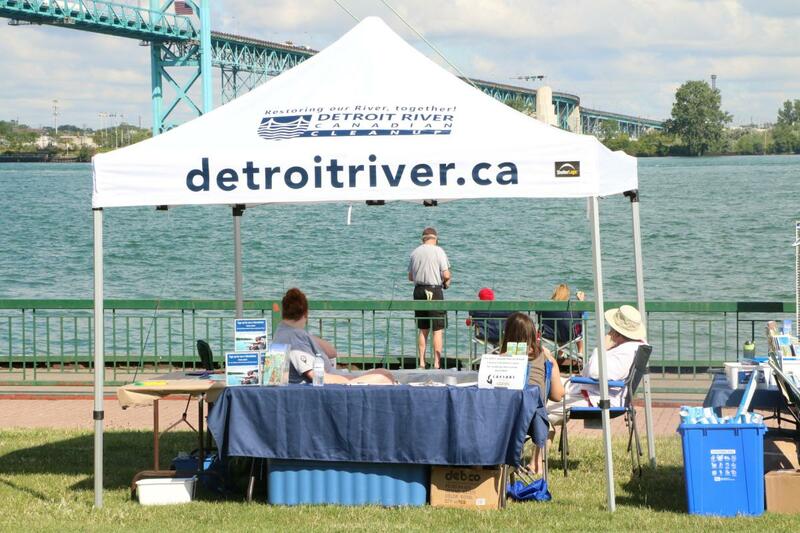 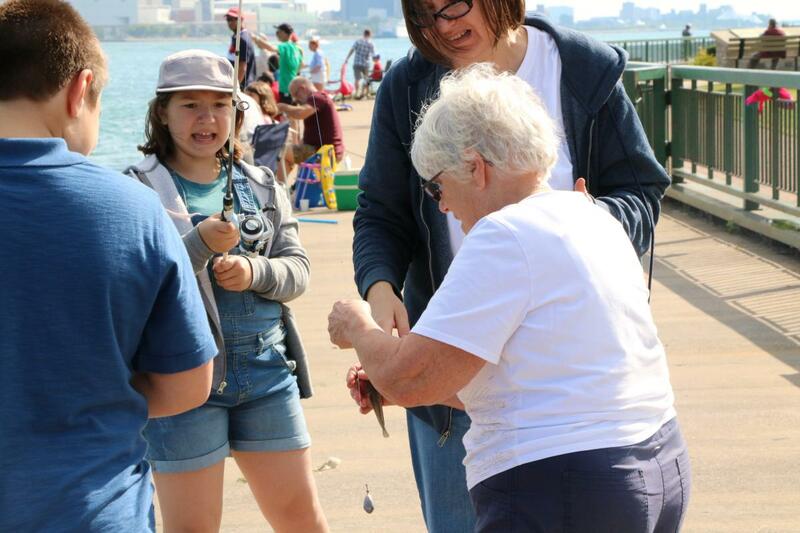 In partnership with Caesars Windsor Cares, the Detroit River Canadian Cleanup (DRCC) hosted a free Family Fishing Day at Assumption Park in Windsor on July 8, 2017. 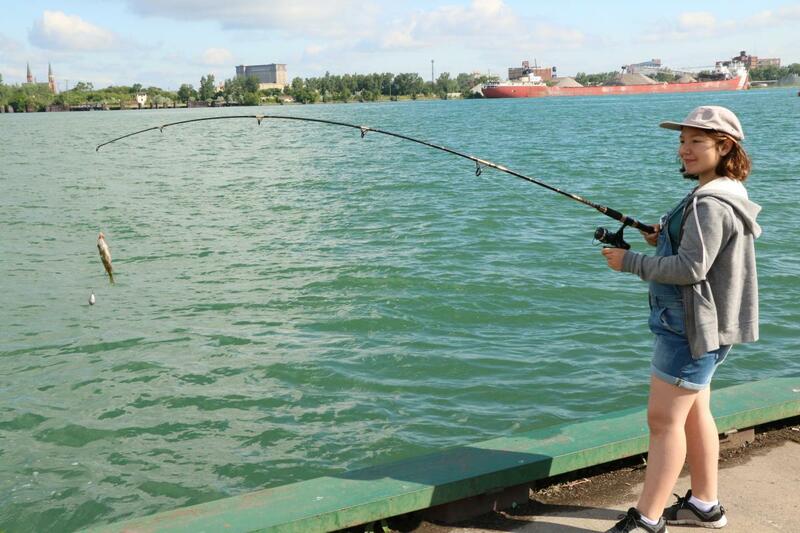 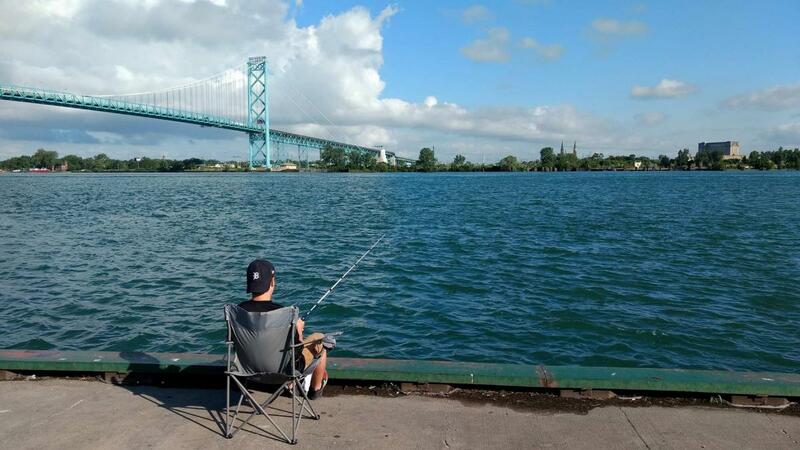 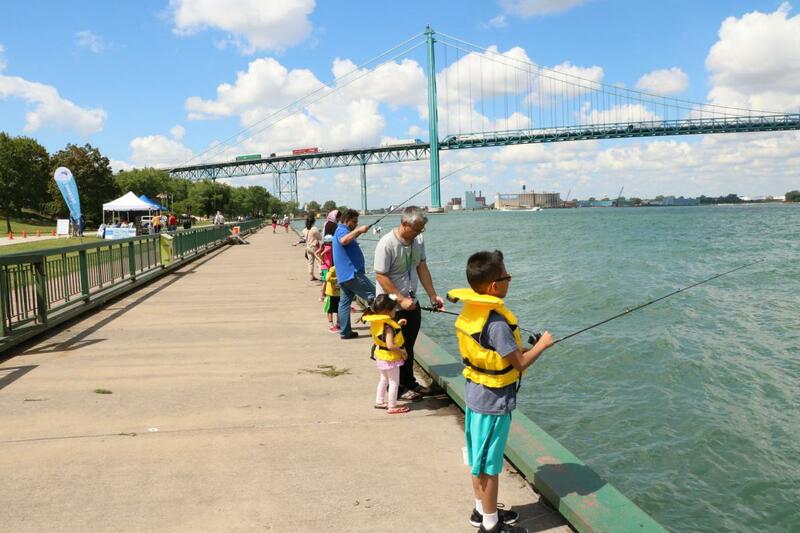 This inaugural event took place during Ontario Family Fishing Event week when residents can fish in Ontario waters without the mandatory license. 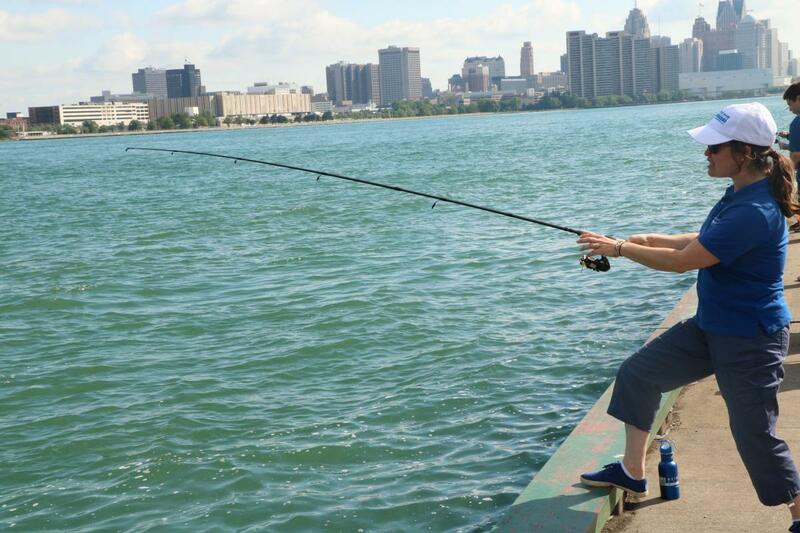 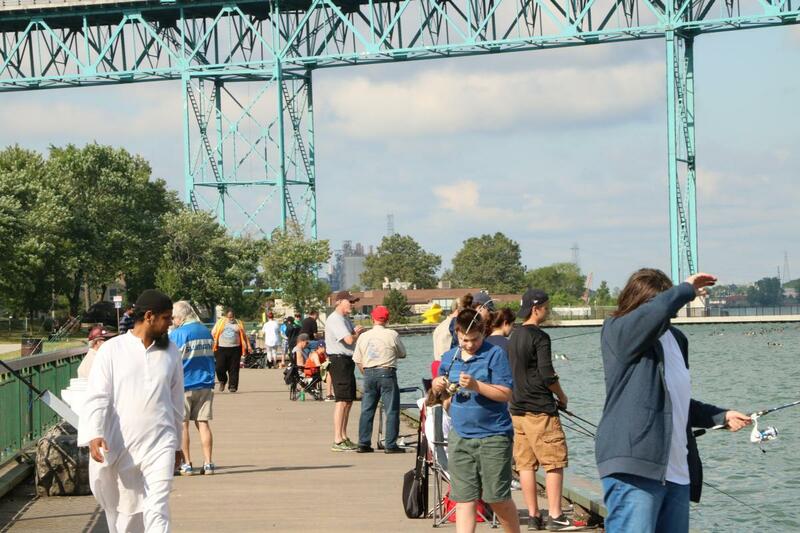 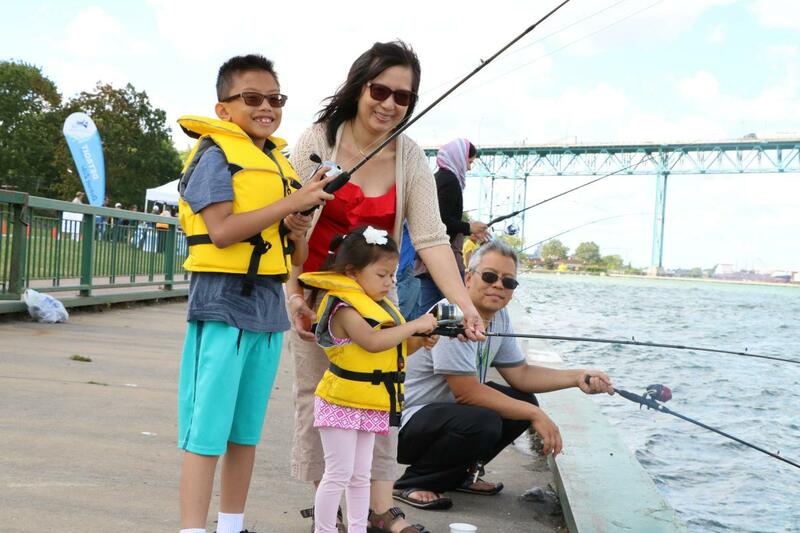 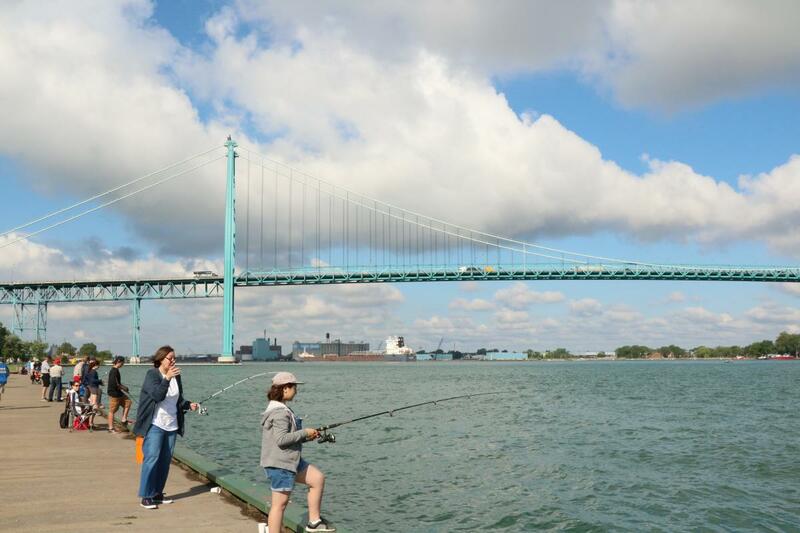 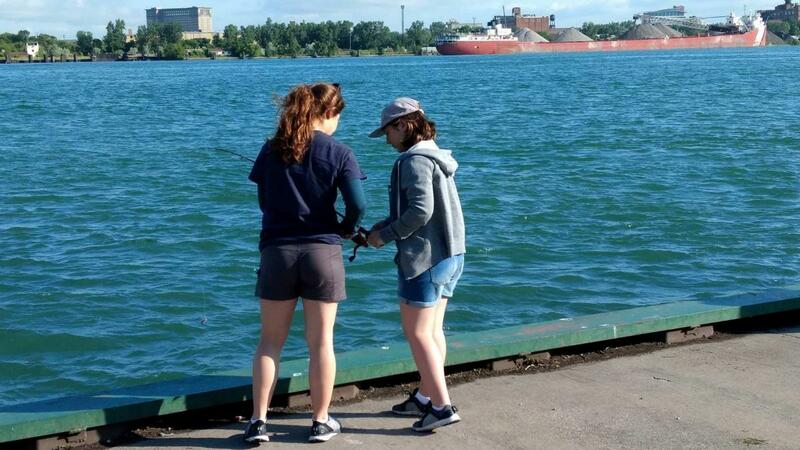 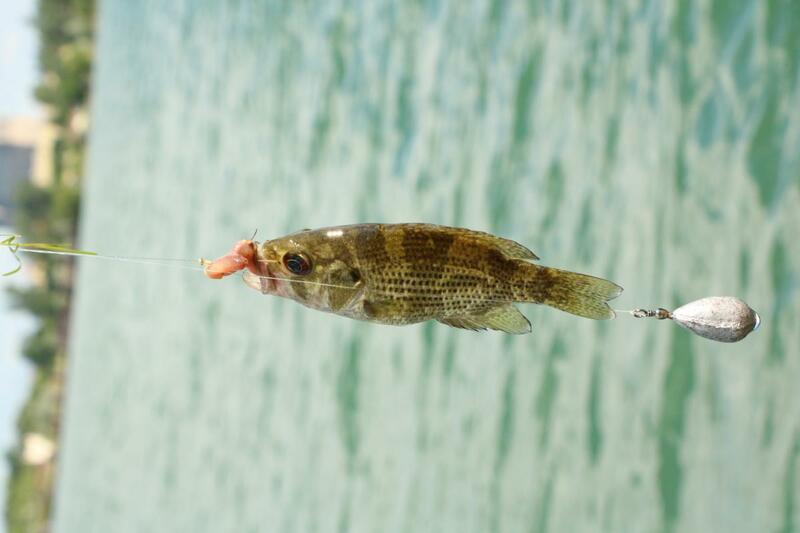 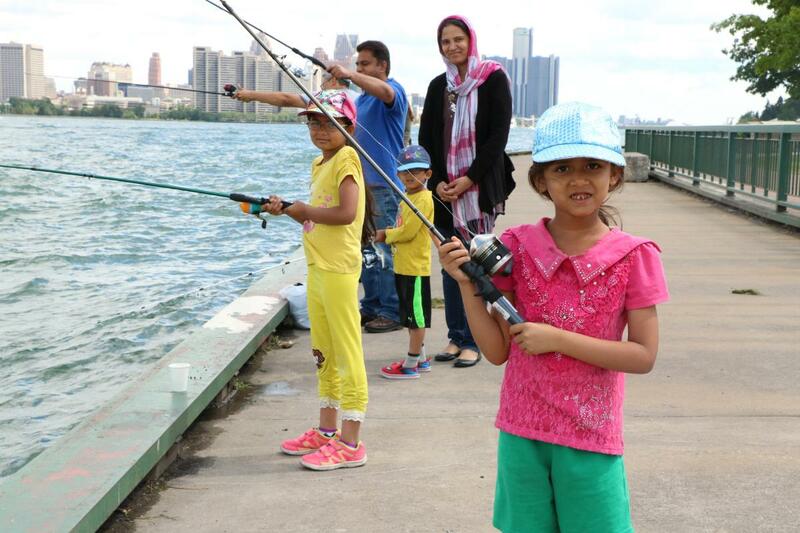 With the help of volunteers and expert anglers from Just Fishing Friends and the Windsor Sportsmen’s Club, over 100 participants experienced fishing on the Detroit River! 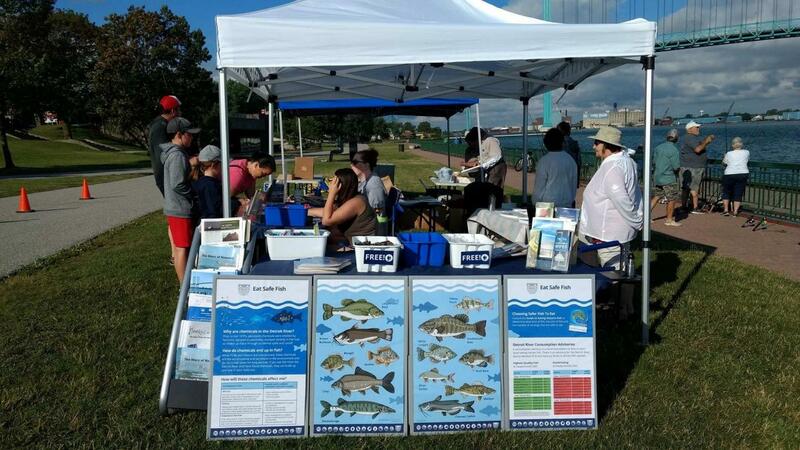 The DRCC was also on hand to provide information to participants about restoration and clean up projects, stats on increasing fish populations, and how to safely consume fish from the river. 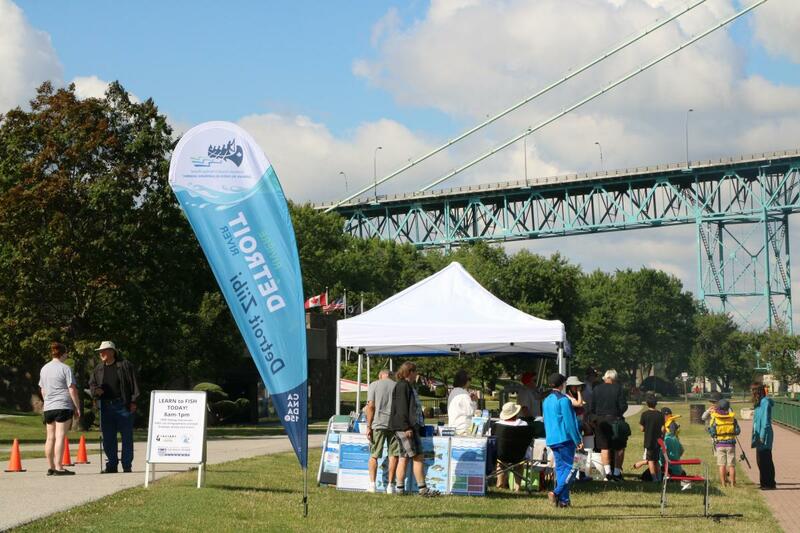 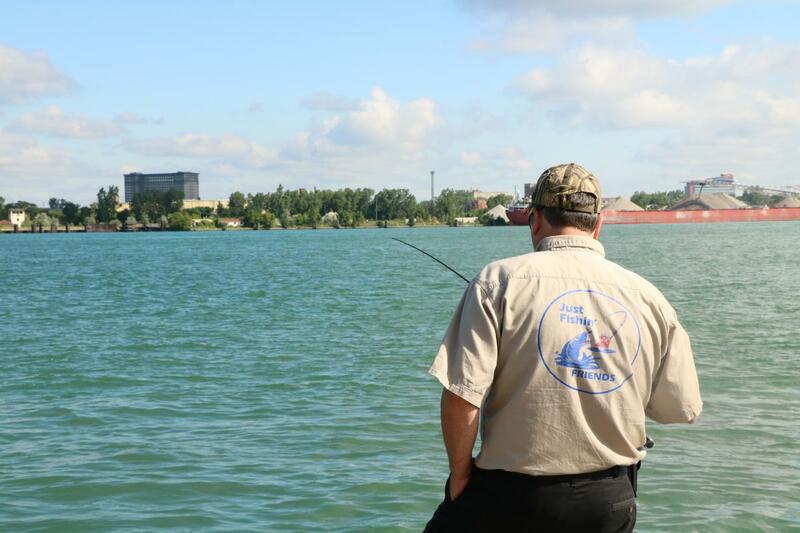 The Detroit River Canadian Cleanup would like to thank Wally’s Baits, the Windsor Sportsmen’s Club and the Lakeshore Sportsmen and Conservation Club for supporting this event and providing angling equipment donations for participants to take home! 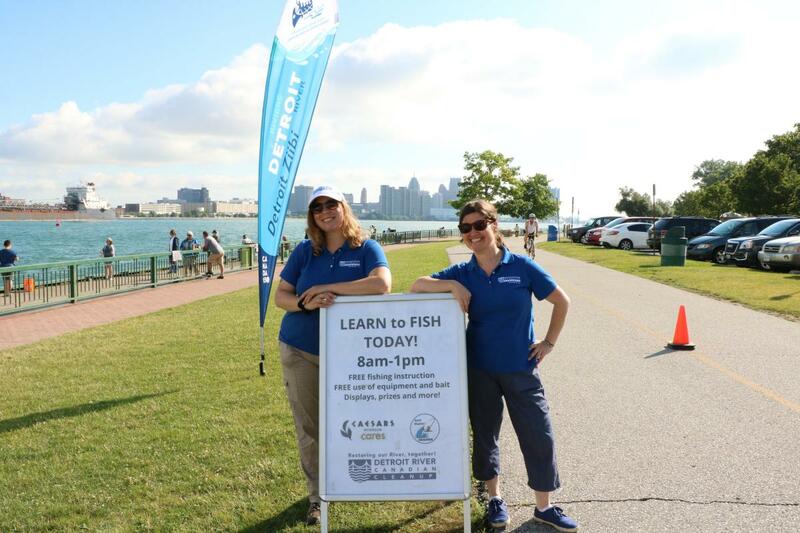 Special thanks to Just Fishin’ Friends for providing their expert angling advice and introducing participants to the sport. 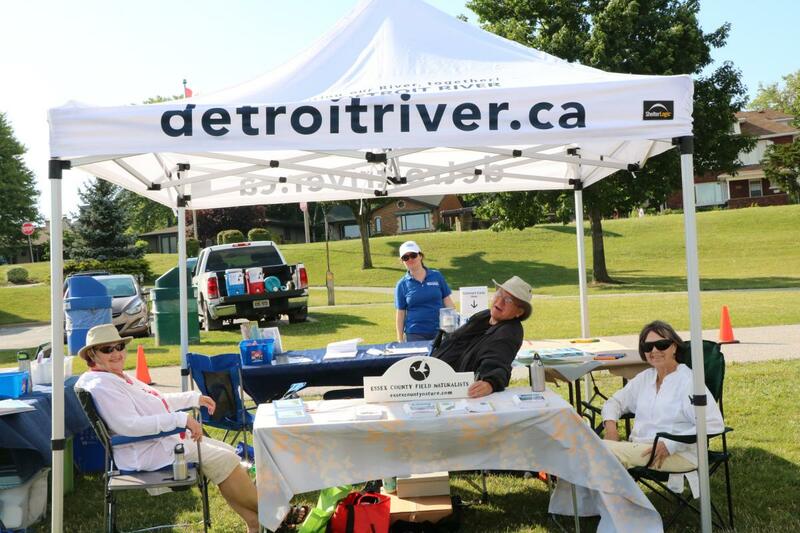 Big thanks to all our volunteers who made this event happen! 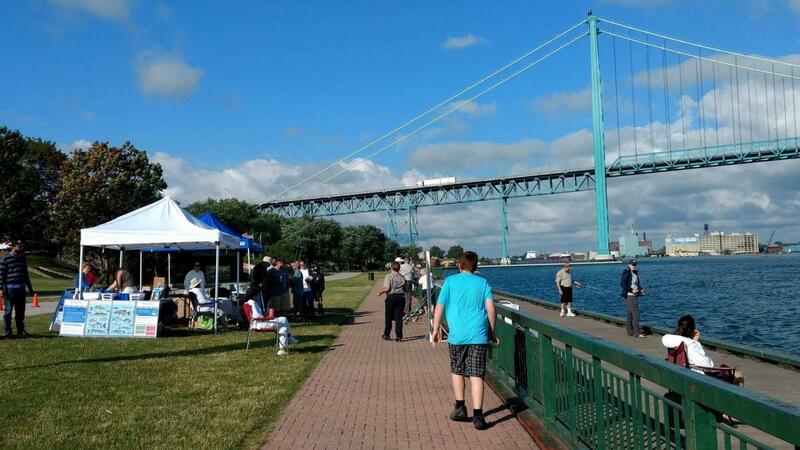 To see the CTV Windsor coverage, click here.